To meet the different needs of each user and the particular requirements of different shooting situations, AFoRS is a variety of recording devices. In addition to current smartphone models, tablets and cameras can be used for stacked timber receptacle. To the current listing of the recording devices include, among others Samsung Galaxy Cameras, the Samsung Galaxy S4 or the tablets of Panasonic Touchpad series. 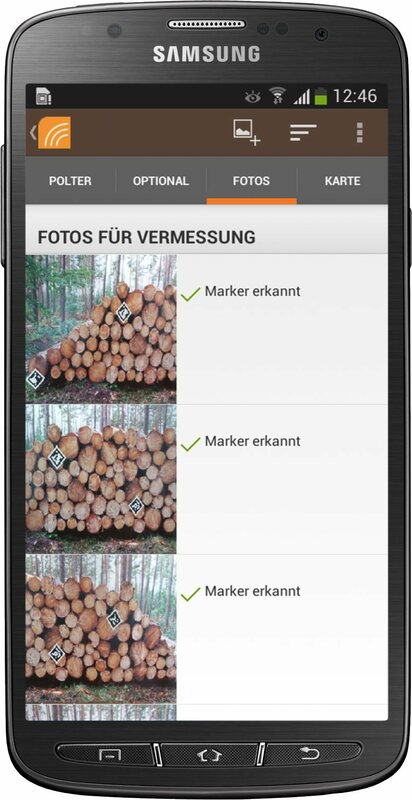 All recording devices based on the mobile operating system Android and the AFoRS app provided for the mobile recording and images of the timber. The most widely used mobile operating system in the world offers this optimal conditions to allow you a smooth data collection and provides you with many other applications. In order to ensure a high accuracy of image processing results, passes through each capture device a complicated calibration process. Within this process, many individual optical are receiving errors, each unit and other constraints assessed and taken into account when calculating the results.